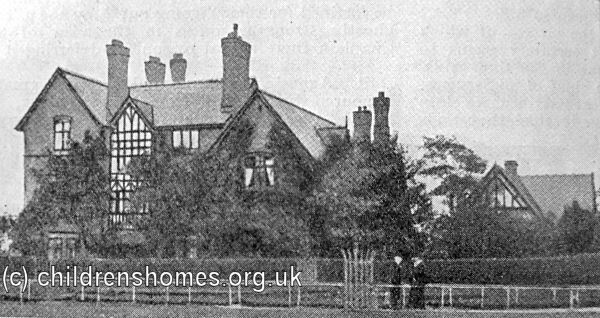 In 1913, the Waifs and Strays Society home took over the former Grammar School premises on the Northwich Road at The Heath, Knutsford. 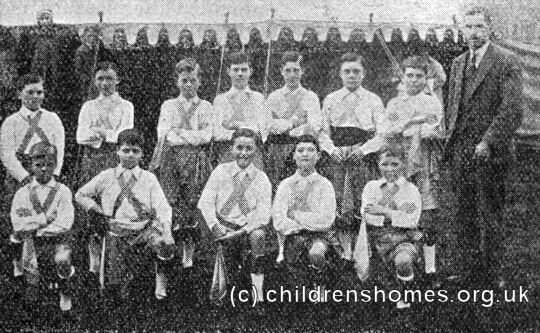 The property, which could accommodate 50 boys aged from 7 to 14, was given by Mr Claude Hardy, who also offered an annual donation of £5 per boy at the home. At Mr Hardy's request, the home was named after Emmeline Winstanley, but her identity is not known. The location of the home is shown on the 1909 map below, when the property was still occupied by a local Grammar School. 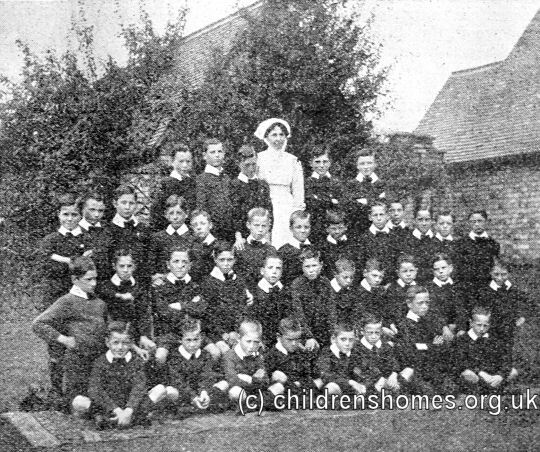 Emmeline Winstanley Home location, Knutsford, c.1909. 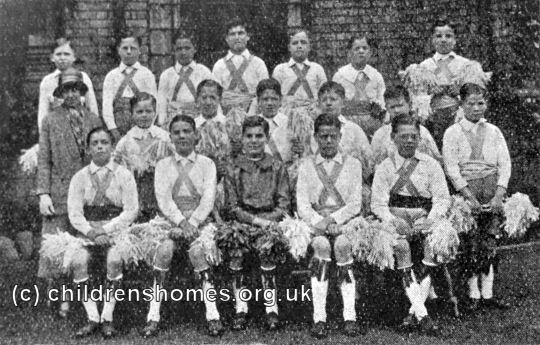 Morris dancing was a pastime in which boys at the home were very active. The photograph below was kindly contributed by former inmate, Graham Thompson. Taken on Knutsford Heath, immediately opposite the home, it features himself and one of his older brothers who was also a resident. 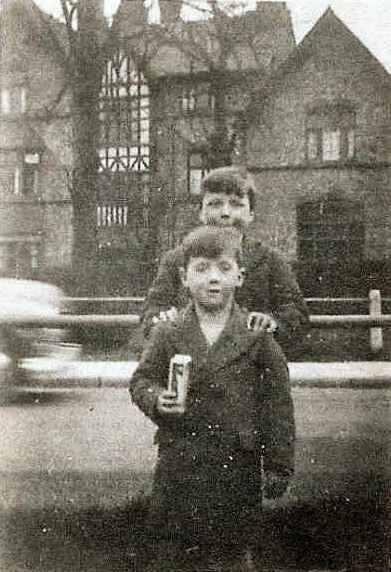 Outside Emmeline Winstanley Home for Boys, early 1950s. 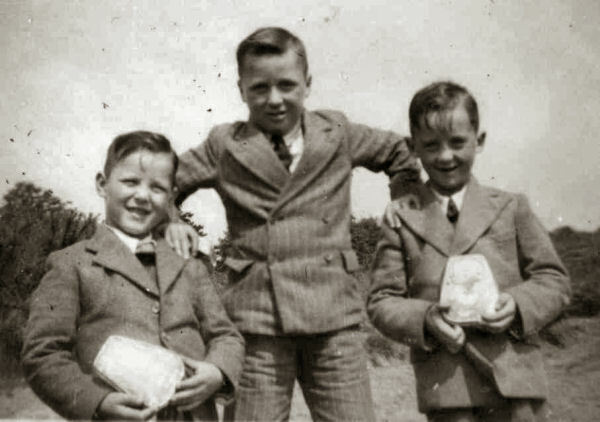 Another picture from Graham shows him and two of his brothers, again on Knutsford Heath. The home closed in 1956. The property was later occupied by infants' department of St Vincent's Roman Catholic Primary School and was known as Winstanley House. 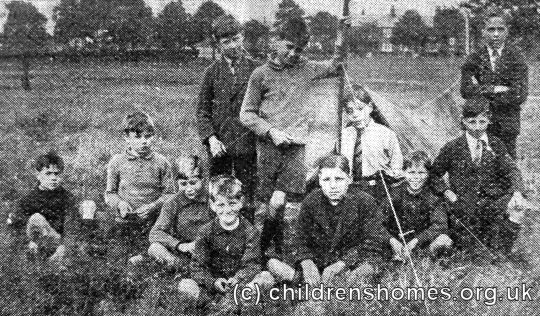 The school moved to a new site in 1967. A new building, which retained the name Winstanley House, was erected on the site in 1975, containing sheltered housing accommodation.